Editor's Note: This is the inaugural post of CultureUniversity.com - our purpose is to positively impact society on a global scale through culture awareness, education, and action. 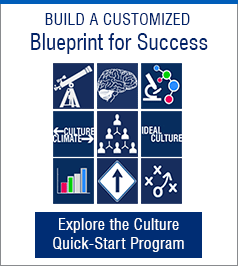 Culture is a hot topic but remains a tremendous opportunity for most organizations to further support their purpose, solve problems, and improve performance. One of the foremost authorities on the subject of culture is Edgar Schein, Professor Emeritus with MIT Sloan School of Management, and author of many best sellers including The Corporate Culture Survival Guide and, his most recent book, Humble Inquiry: The Gentle Art of Asking Instead of Telling . He was recently interviewed for the launch of CultureUniversity.com and a number of important culture insights were captured to help bring clarity to this deep and important topic. 1. Culture is a result of what an organization has learned from dealing with problems and organizing itself internally. 2. Culture matters to the extent an organization is adaptive. 4. Leaders should not focus on culture change. Focus on a business problem. “If a leader just starts with how you change the culture then he already doesn’t understand the problem. You never start with changing. It’s like saying: would you decide someday to change your personality? The first question would be: Why? Why would you want to do that? That’s the question I would ask any leader who comes to me and says I think we need a culture change. I would say: 1) what do you mean by culture; and 2) why do you think you need to change at all? If he says “what do you mean,” I would say: what’s your business problem, what isn’t working, why are you change-oriented in the first place? 6. Be very specific about behavior, how it’s impacting your problem and the future state of the behavior you want to see. 7. Culture is a group phenomenon. Engage focus groups to define how the culture is helping and hindering work on a problem. I would give them a model like the lily pond and say: “let’s talk about our culture at the surface level. What would somebody visiting here just see at this level.” I would put the information on flip charts “so we get a sense of who we are at the level of: this is how we look.” Next, look at the values that seem alive behind that. As we get those spelled out, ask how these values mesh with what we’ve said who we are and almost always you discover that we already have the teamwork value because we published that, we put it on all of our banners, so how come we’re not there? 9. Don’t focus on culture because it can be a bottomless pit. Again, get groups involved in solving problems. What do you think of these insights? Do you agree or disagree and what else can you add? Post a comment below. Editor's Note: This is the first of two posts on the Edgar Schein interview. The post next week will be on Leadership, Humble Inquiry, and the State of Culture Work. We thank Mr. Schein for the gracious sharing of his time and insights to support this interview leading up to the launch of CultureUniversity.com. Edgar Schein's Books: learn more about the work of Edgar Schein from three of his best-selling books - Organizational Culture and Leadership , The Corporate Culture Survival Guide and Humble Inquiry: The Gentle Art of Asking Instead of Telling .